Jergens StayLock Retractable Clamps are designed to allow quick change of molds in injection molding machines and die casting machines. The locking arm, which retracts into the clamp body for easy loading and unloading of a mold, is adaptable to clamp many standard mold slots. The Retractable Clamp is double acting and includes alternate clamp and release ports for easier hydraulic plumbing set-up. 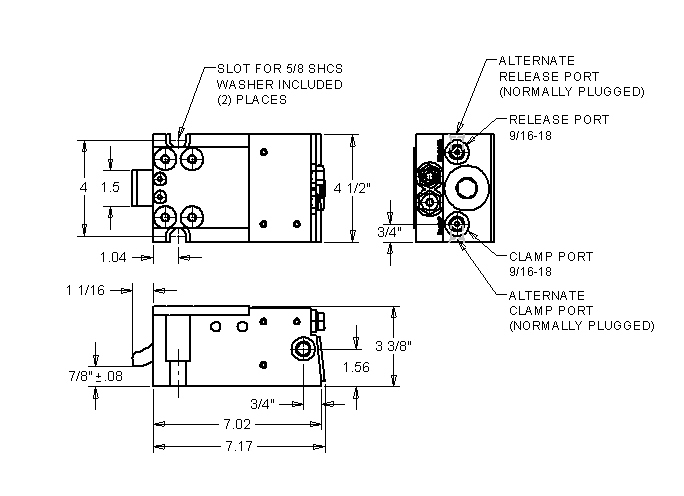 A Proximity Switch, which indicates the Retractable Clamp is in the extended or retracted position, is also available (see below).